Download "AC 1200. 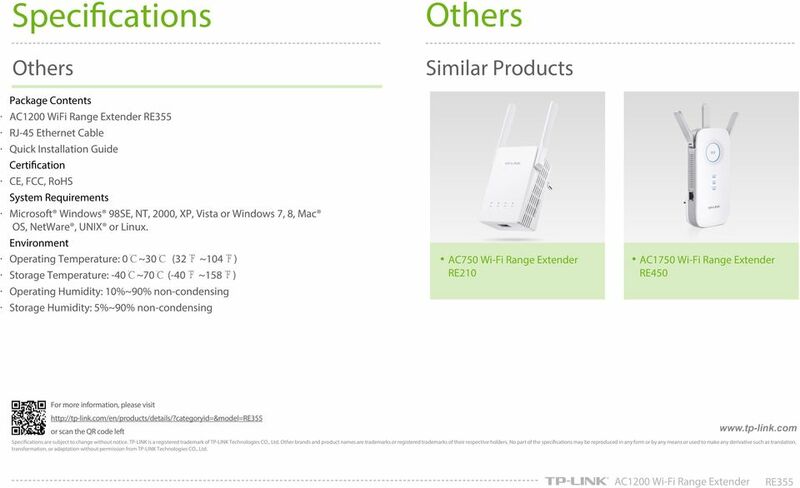 Wi-Fi Range Extender RE355. Highlights. 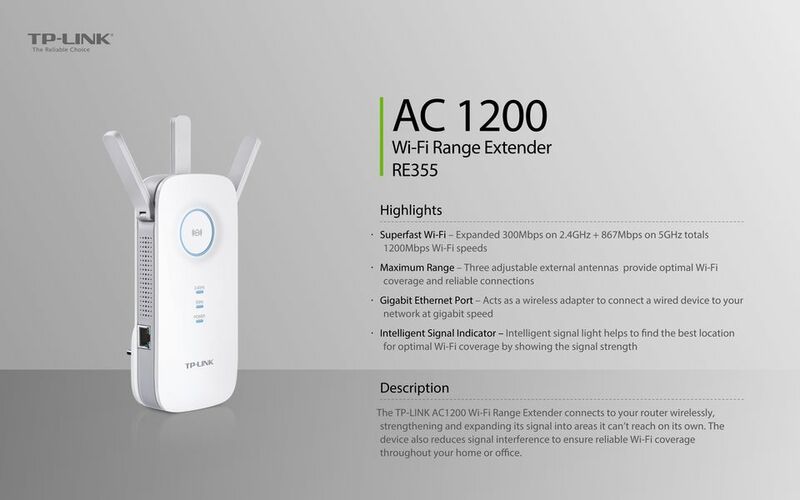 Description"
1 AC 1200 Wi-Fi Range Extender Highlights Superfast Wi-Fi Expanded 300Mbps on 2.4GHz + 867Mbps on 5GHz totals 1200Mbps Wi-Fi speeds Maximum Range Three adjustable external antennas provide optimal Wi-Fi coverage and reliable connections Gigabit Ethernet Port Acts as a wireless adapter to connect a wired device to your network at gigabit speed Intelligent Signal Indicator Intelligent signal light helps to find the best location for optimal Wi-Fi coverage by showing the signal strength Description The TP-LINK connects to your router wirelessly, strengthening and expanding its signal into areas it can t reach on its own. The device also reduces signal interference to ensure reliable Wi-Fi coverage throughout your home or office. 2 Features Speed Reliability Ease of Use Blazing Fast Wi-Fi Speed Provides faster dual band Wi-Fi access up to 1200Mbps with next generation Wi-Fi standard ac technology. Reliable Connection Three adjustable external antennas for optimal Wi-Fi coverage and reliable wireless connections. Smart Signal Indicator Smart signal lights help to find the best location for optimal Wi-Fi coverage by showing the signal strength. 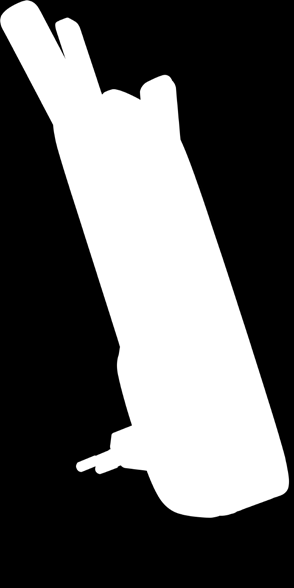 Gigabit Ethernet Port Act as a wireless adapter to connect wired devices at gigabit speed. Simultaneous Dual Band Reduces interference for more stable connections. One Button Encryption Press the WPS button on your router and the Range Extender button on your within 2 minutes to easily connect to the network. High Speed Mode With High-Speed technology, makes the best use of both Wi-Fi bands to establish super speedy connections, ideal for bandwidth-intensive tasks. 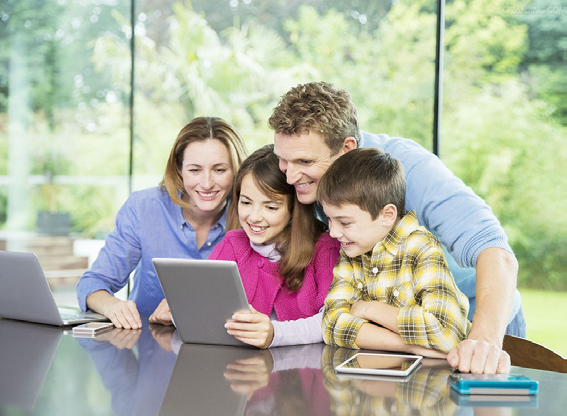 Universal Compatible Works with any Wi-Fi router or wireless access point. 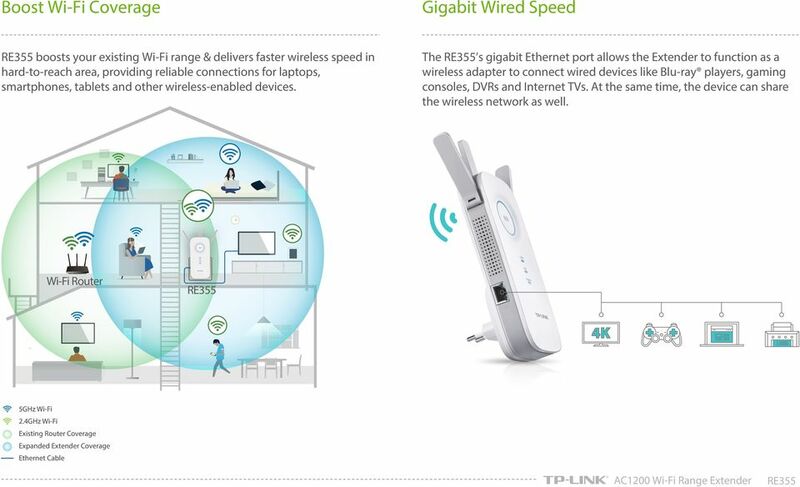 5 Specifications Others Others Similar Products Package Contents AC1200 WiFi Range Extender RJ-45 Ethernet Cable Quick Installation Guide Certification CE, FCC, RoHS System Requirements Microsoft Windows 98SE, NT, 2000, XP, Vista or Windows 7, 8, Mac OS, NetWare, UNIX or Linux. Environment Operating Temperature: 0 ~30 (32 ~104 ) Storage Temperature: -40 ~70 (-40 ~158 ) Operating Humidity: 10%~90% non-condensing Storage Humidity: 5%~90% non-condensing AC750 Wi-Fi Range Extender RE210 AC1750 Wi-Fi Range Extender RE450 For more information, please visit or scan the QR code left Specifications are subject to change without notice. 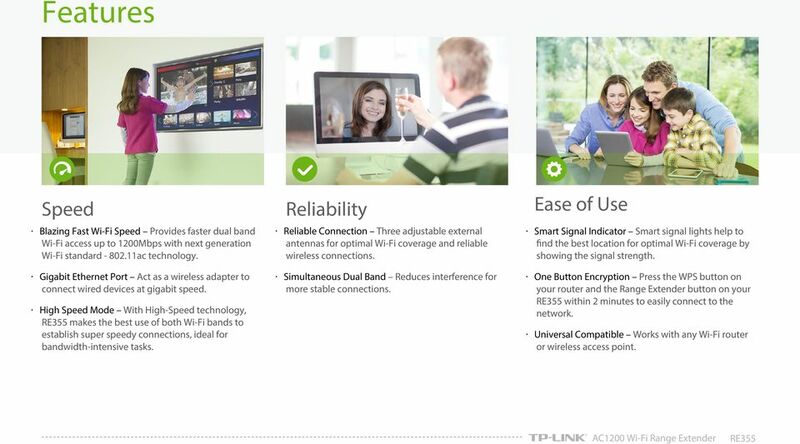 TP-LINK is a registered trademark of TP-LINK Technologies CO., Ltd. Other brands and product names are trademarks or registered trademarks of their respective holders. 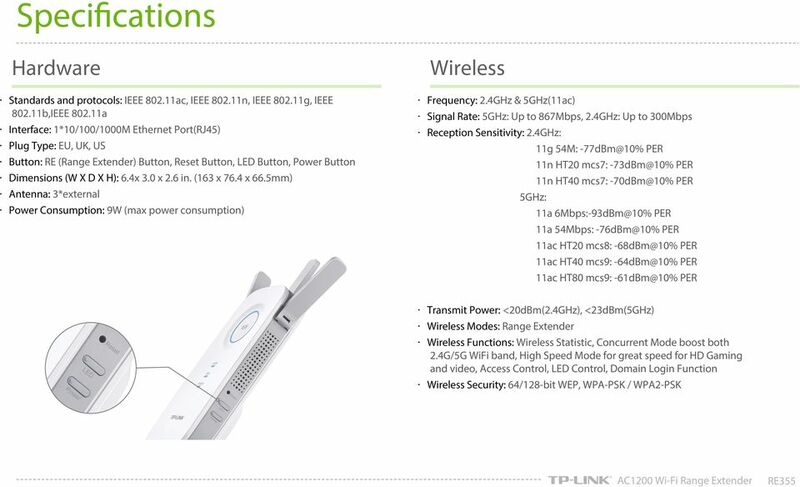 No part of the specifications may be reproduced in any form or by any means or used to make any derivative such as translation, transformation, or adaptation without permission from TP-LINK Technologies CO., Ltd.